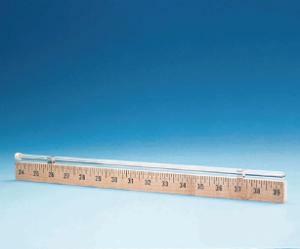 A capillary tube, sealed at one end, is fastened to a wooden centimeter scale. A drop of mercury traps a given volume of air within the tube. As the air in the tube is heated, its volume expands in direct proportion to its length. This measurement may be used in calculations in place of volume. 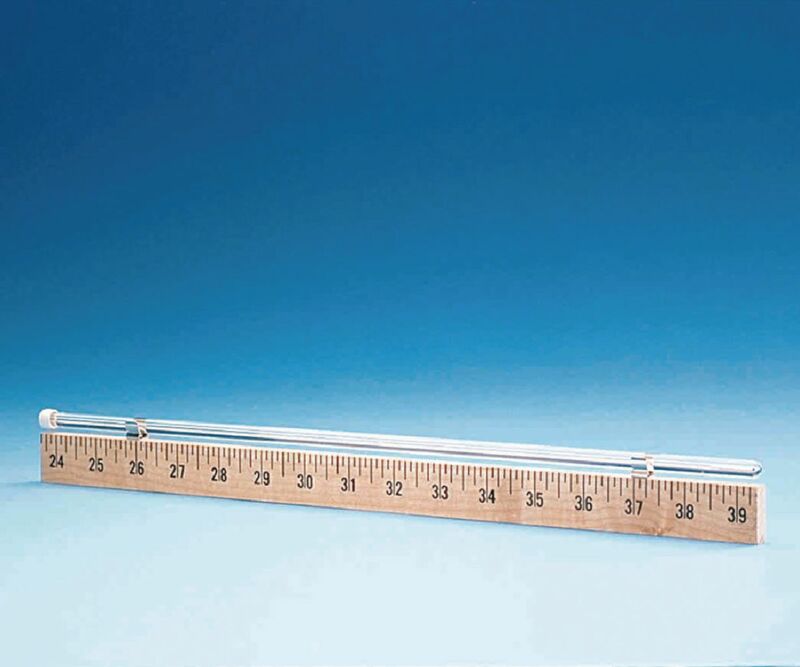 Ideal for introducing absolute zero and the Kelvin temperature scale, it includes a capillary tube, mercury, and metric scale. Size: 40 cm. Warning: This product contains mercury and may not be available for sale in your state. Contact customer service for details.